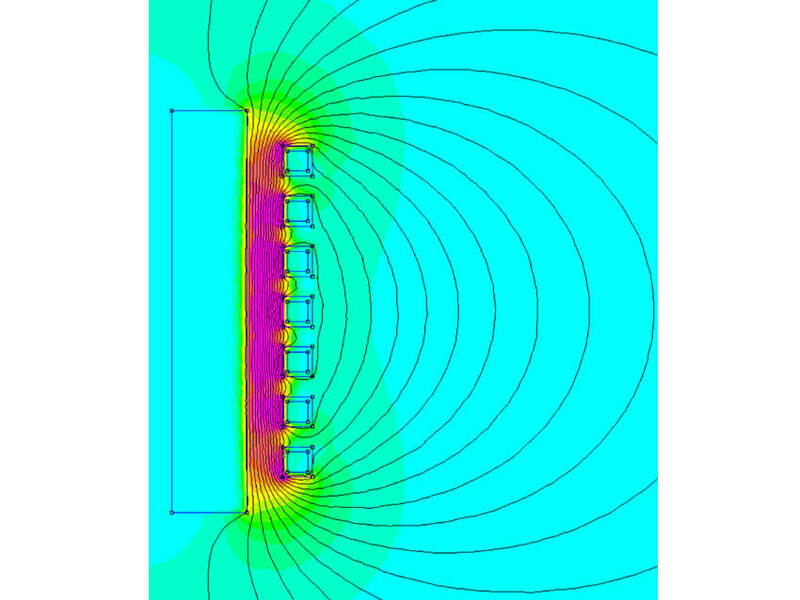 Electromagnetic modeling is the process of solving Maxwell’s equations to precisely determine electric fields, magnetic fields, and currents. 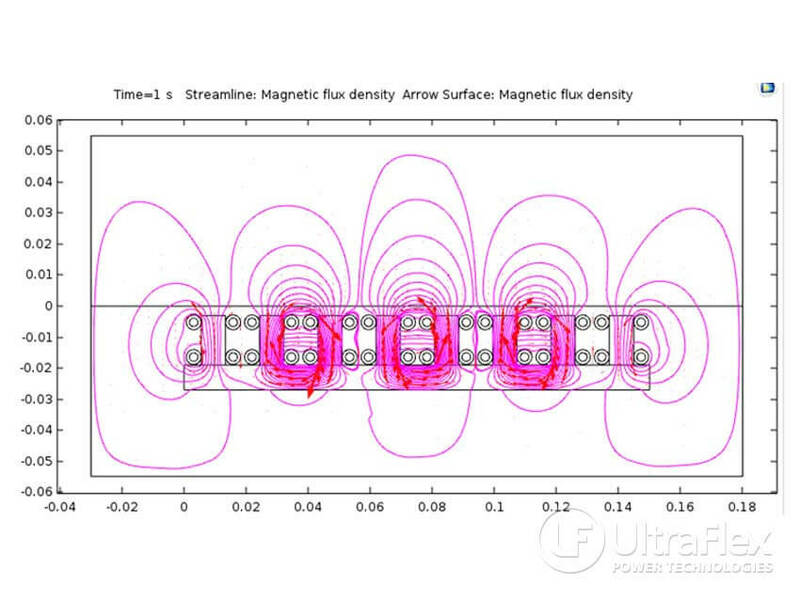 Computationally determining the electromagnetic fields throughout space and time can give a more detailed understanding of the underlying physical processes in many industrial or scientific applications. 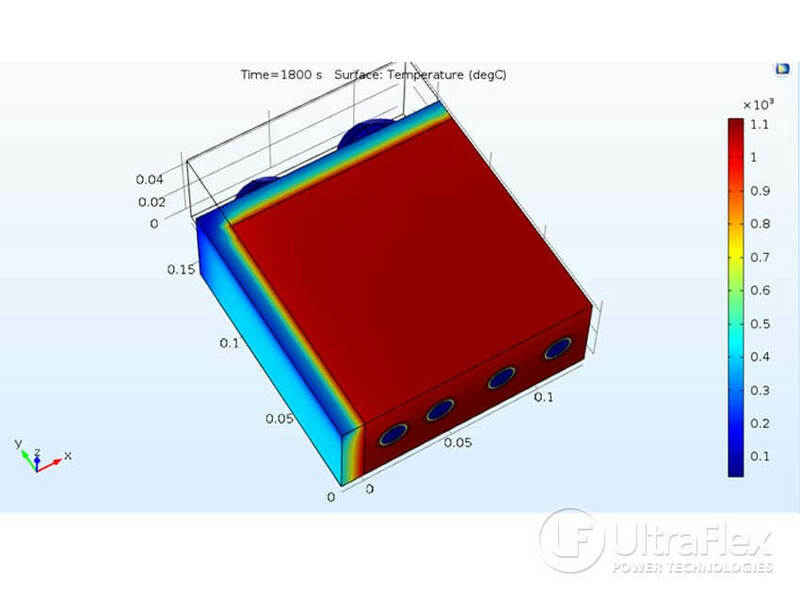 Calculate the power deposited in the load by induction heating and its spatial profile. Ensure that systems will meet magnetic field strength requirements or limits. Detailed understanding of the field strength and gradients for scientific applications. 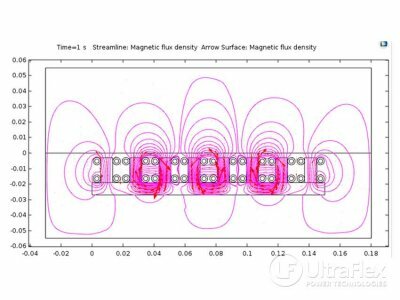 Ultraflex has developed its proprietary EMCalc for precisely simulating the electromagnetic fields and currents created in induction applications. 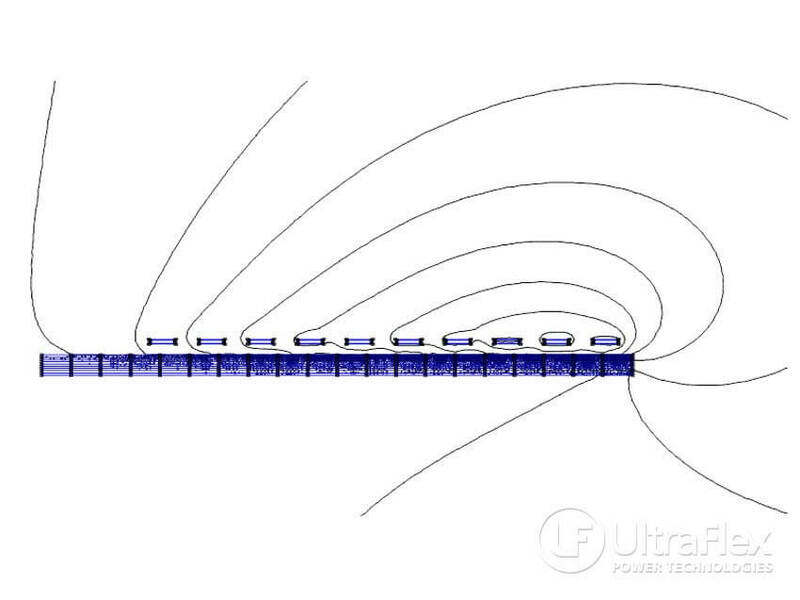 Currents at radiofrequencies are described by Maxwell’s equations in the quasi-magnetostatic harmonic limit. 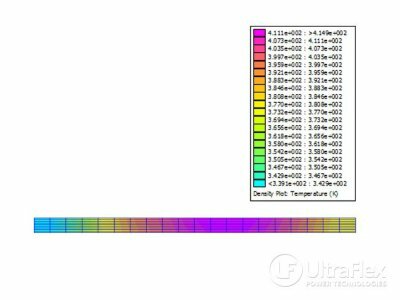 The Ultraflex EMCalc is specialized for axisymmetric and planar configurations, which are ubiquitous in induction heating applications. 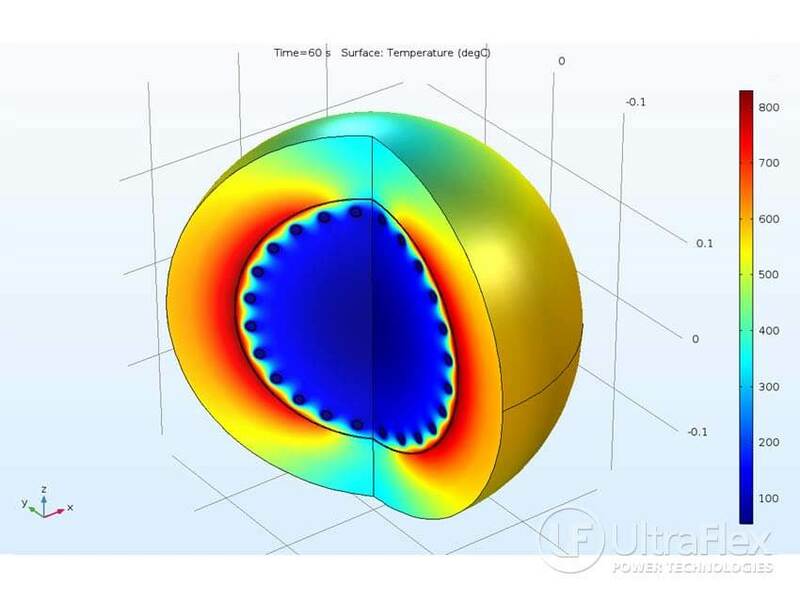 Ultraflex EMCalc Simulation of the magnetic field created by the induction coil when heating a copper cylinder with a 7-turn helical coil with square tubing. 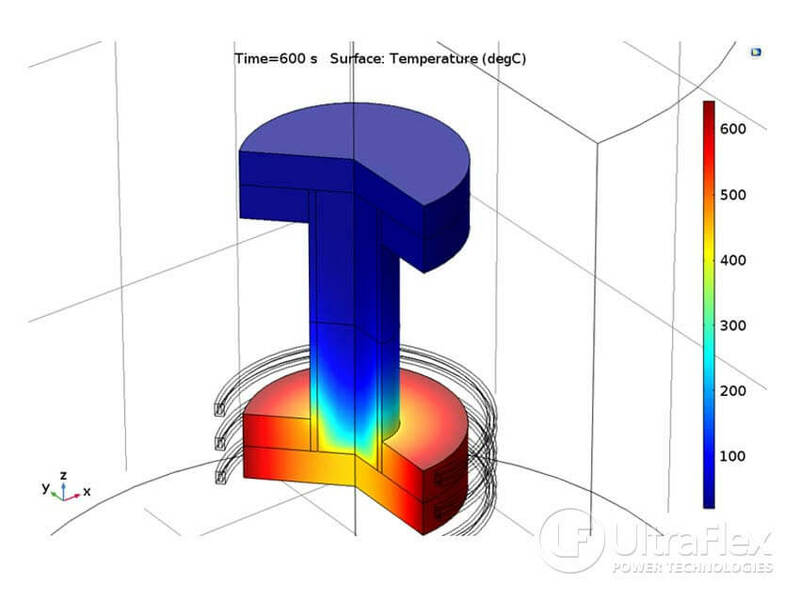 Thermal analysis is the process of solving the heat equation for a specified load and power density. Performing a thermal simulation can be used to determine the heat distribution and dissipation due to conduction, convection, or radiation for industrial and scientific applications. 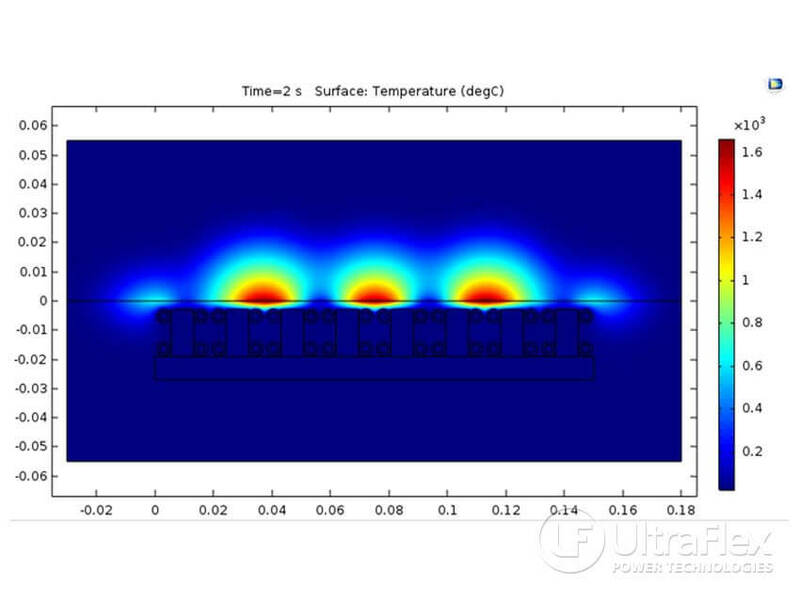 Achieve a detailed understanding of the temperature distribution in the load. 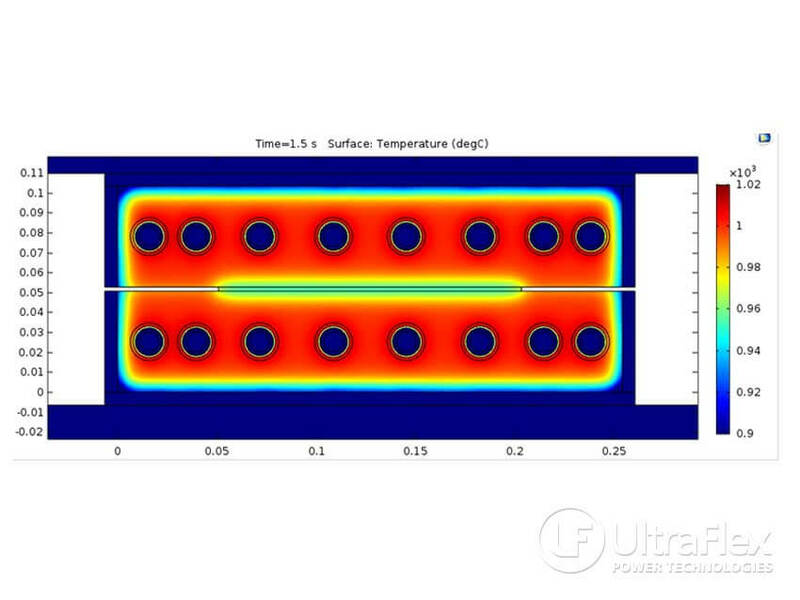 Determine the heating profile over time and depth of penetration of the heat. 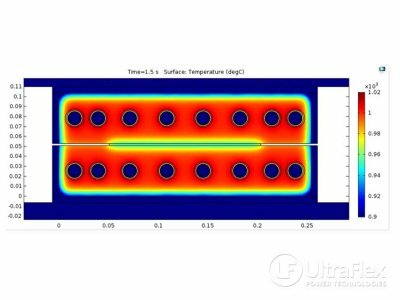 Ensure that induction heating uniformity is within specifications or limits. The Ultraflex team has experience and proprietary tools for precise and accurate thermal simulations of induction heating processes. 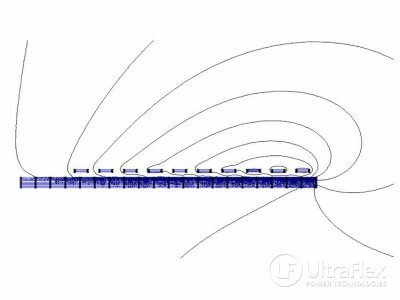 Electromagnetic modeling is used to determine the eddy currents that are electromagnetically induced in the load, and then thermal analysis is used to calculate the heating profile based on the power deposited by the eddy currents. See the library of sample Ultraflex simulations below. 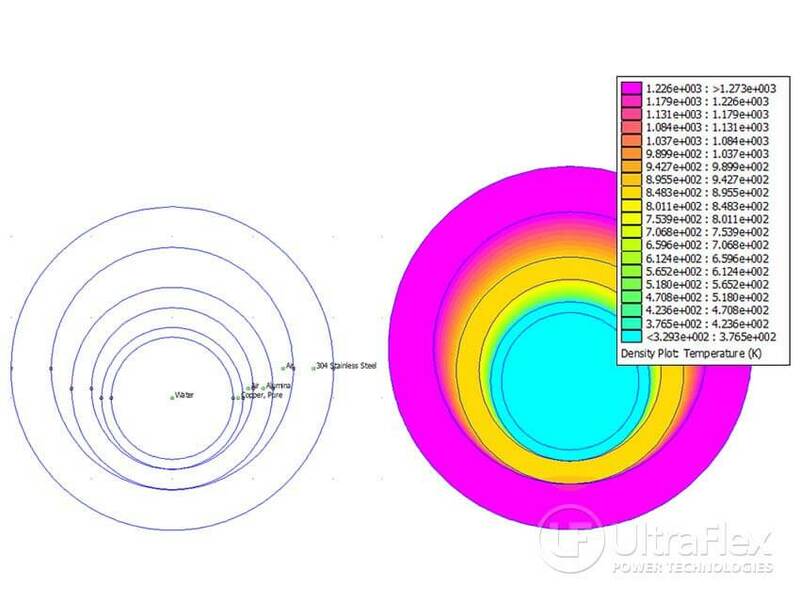 Request more information to find out how the Ultraflex EMCalc can model your application.